Today’s guest post is from graphic designer Alexander von Ness (@AlexandervonNes), founder of Nessgraphica and Bookcoverpedia. Authors may spend a fortune on book editing, but leave very little for the cover design—thus forgetting that the cover is the reader’s first impression of the book. If you are a well-known author, your books may sell themselves because readers trust the story or the content, but if you are new, then you need to make a statement with the first thing a reader sees: the book cover design. 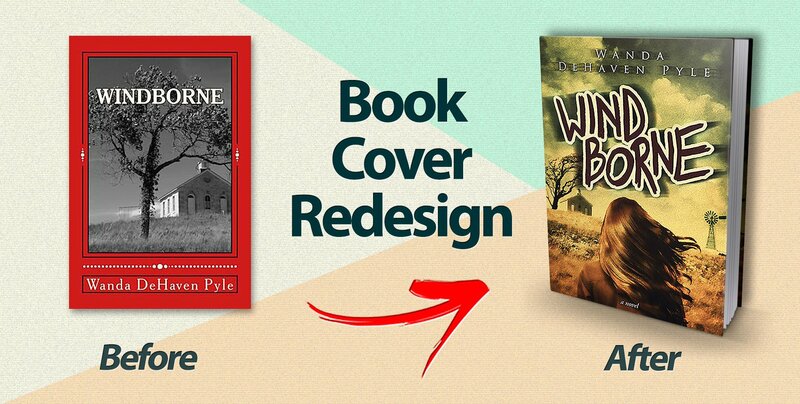 And if your existing book cover design isn’t currently making a good impression, you may want to consider a professional redesign. Last year, I had almost the same amount of work with redesigns of already-published books as with new books. 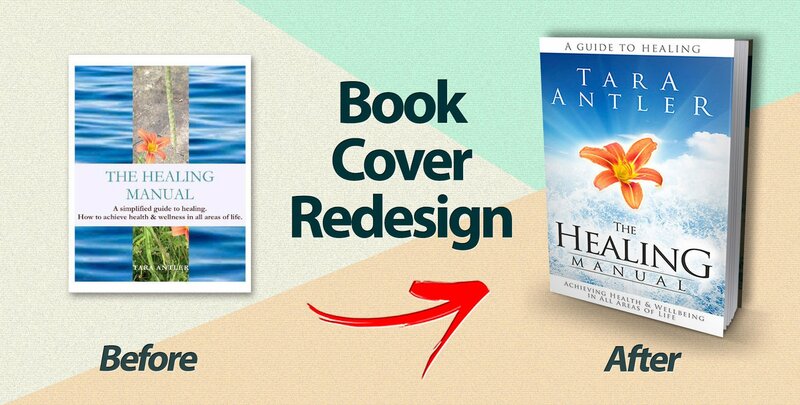 Even a simple redesign of a book cover can create miracles marketing-wise. Some authors have even requested redesigns of over ten books after seeing how much a book cover redesign can increase sales. A professional book cover design isn’t just a sign of good content but appreciation of your own hard work. 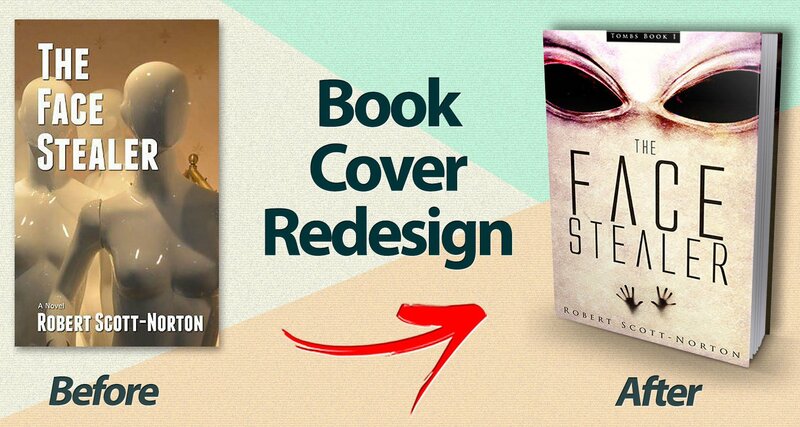 In the next few examples of real book cover redesigns, I offer a short explanation of the challenges and goals I had in redesigning each cover. In this redesign, the main task was to emphasize the fear element, to attract readers interested in the unreal. Although the original design, in my opinion, is very morbid, one quickly realizes that the image is mannequins (especially after noticing the railings in the background and patterns on the wall). 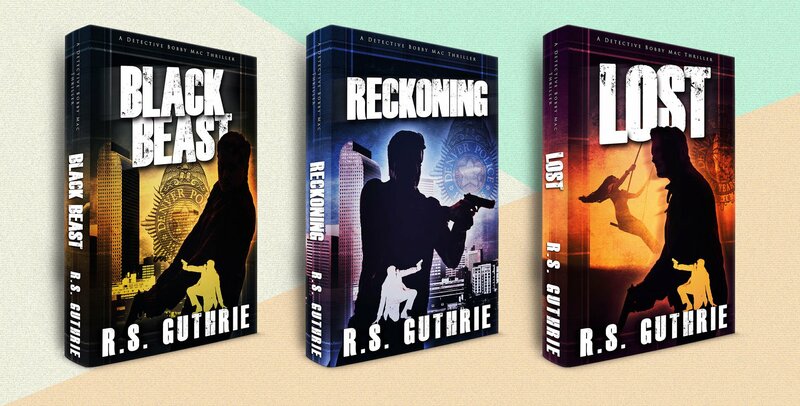 In the original cover design, we can see one mistake that occurs very often in amateur book covers: the color of the title is very similar to the color of the background. There is not enough contrast that we need for easy reading. In the redesign, we can see better contrast between title and background that enhances readability. I’ve added two hands in the bottom part of the cover because I wanted to give the impression that something was trapped in the book, and by doing that, I strengthened the fear element. I tried to stay neutral with the colors and not to go to the dark side because in this book there are no elements of violence. In the redesign, I chose typography that tells us that the story is about something paranormal, unreal, and secret. I’ve increased the title font size because it increases legibility when the cover is shrunk down to thumbnail size. Personally, I like the title, and it has a very strong message, so I tried to emphasize that as much as I could. Here, the original cover doesn’t have much to say; we have the problem of an undefined genre, which automatically implies undefined target audience—one of the biggest mistakes in book cover design. We decided to add a windmill in the background and, as a main and central motif, I added the female figure, which automatically and undoubtedly turned this book cover into a story about a girl instead of a story about a small church in the prairie. I’ve completely changed the tone and warmth of the cover to give it a vintage look, given that the story takes place through a few generations. I created the title lettering myself because I wanted the cover to have a handmade quality. This original cover is a classic example of one that misses the mark for its genre. It reminds us of a Stephen King thriller instead of a detective story set in the urban environment of Denver. I played a lot with the typography on this, given that this book is part of a series, and I wanted all the books in the series to be recognized by its style—which is most recognizable in the title. See below for an image of how the book looks in the context of the entire series. For this cover the author had a vision of what he wanted. For example, he wanted specific elements on the cover: a smoking gun, an ashtray with two cigars, and a half-filled shot glass. We added a subtitle—“What would you do for 5 million dollars?”—which helps explain about what the book is about. My task was to add a criminal look to the design. As soon as I saw the original cover and read the synopsis, I knew the typography would be 90 percent of the work—it must clearly indicate that the book is a dark crime novel. My goal was to illustrate the underground criminal side and indicate a serious and complicated crime story. Today, when I look at this cover from a distance, I see how my favorite movie, Godfather, had a strong subconscious influence. In this redesign, the challenge was to achieve harmony and balance in the cover. The author wanted the central element to be a flower, and to show the power and purity of water. In the original design we can see how the cover is cut in half with the title, so that the flower is in the background instead of the foreground. The power and the strength of the water, which the author wanted to emphasize as an important element, did not reflect in the original cover, given that it’s a plain, static background. The name of the author was unnoticeable, and at thumbnail size was completely invisible. To put a flower in the foreground (the main wish of the author), I isolated the flower and cut it from the background, tripled its size, and placed it on the center of the cover. I stressed it additionally by adding a discreet ray of sunshine. Here I also used a classic font because I didn’t want the cover to look too pretentious—the author emphasized that this book is a manual and she wanted the cover to have a serious look. 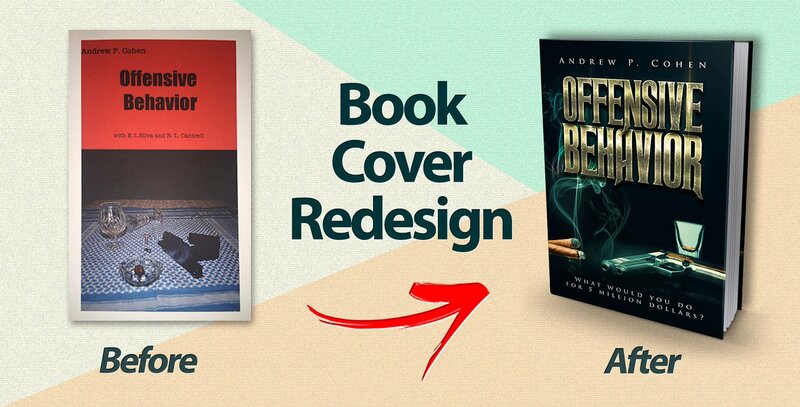 Repairing damage always costs more than doing something right the first time, which is why you should invest in choosing the right cover for your book and in choosing the right book cover designer. If your budget is very limited and you simply can’t spend a lot on cover design, then you can try a pre-made book cover design site such as Bookcoverpedia (which is one of my services) and choose a good-looking and appealing cover for much less than a professional would charge for a custom job. Don’t despair if you are one of the many who has a horrible-looking cover that hides a great book. Having your cover redesigned is the best thing you can do. Many worry that this might badly influence the brand recognition of the author and the book itself; however, keeping a bad-looking cover is worse than reintroducing your work. Don’t worry that established readers won’t be able to find you anymore, because those who know that you’re a great writer will know where to look. All of the redesigns I have done have multiplied the sales of the book. 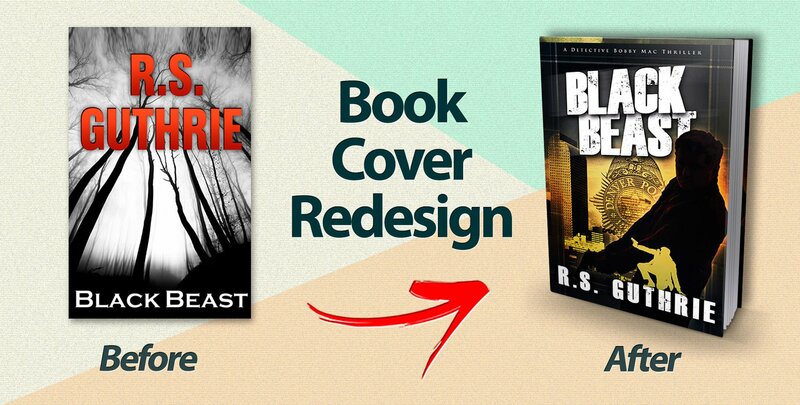 A good book cover design opens doors, so don’t hesitate to search for a good designer who will help you. 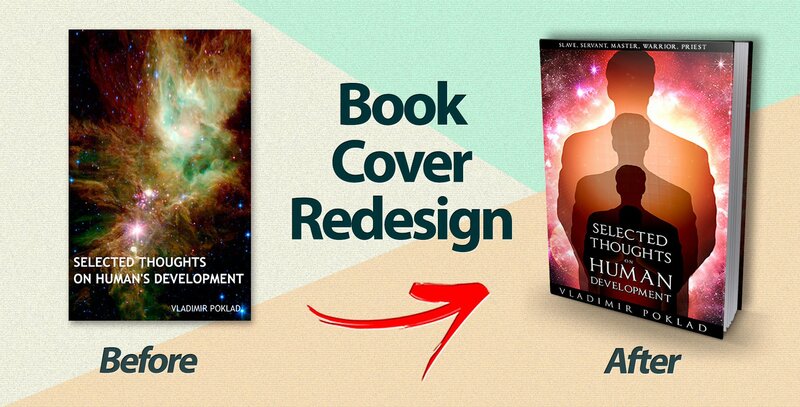 Note from Jane: Alexander is offering book cover redesigns for $295 to readers of this blog—a $200 discount. Contact him through his website and mention this post. Posted in Guest Post, Marketing & Promotion and tagged book cover design, book covers, book marketing and promotion, designers. Alexander von Ness is a book cover designer with over twenty years of professional experience in graphic design, including over a decade as art director in a branding agency. In the past few years his main area of focus has been book cover design. 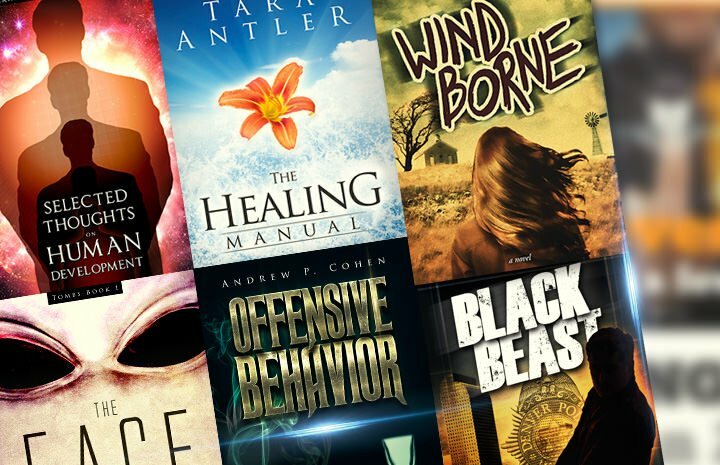 His website Nessgraphica is among the top trusted sites for book cover design services overall. Alexander is also founder of Bookcoverpedia, the most advanced platform for premade book covers in the world. Cover designs are imperative for a sale of a book to be succesful. I personally make decisions on wether I want to purchase a book or not purely on the design of the cover and of course the name of the author. Thank you for another great article on your website! I am not even close to publishing my book yet, however have already started thinking about the final product and what I want it to look like. I will definitely be keeping this article and Alexander von Ness in mind when it comes to the final stages. Thank you!